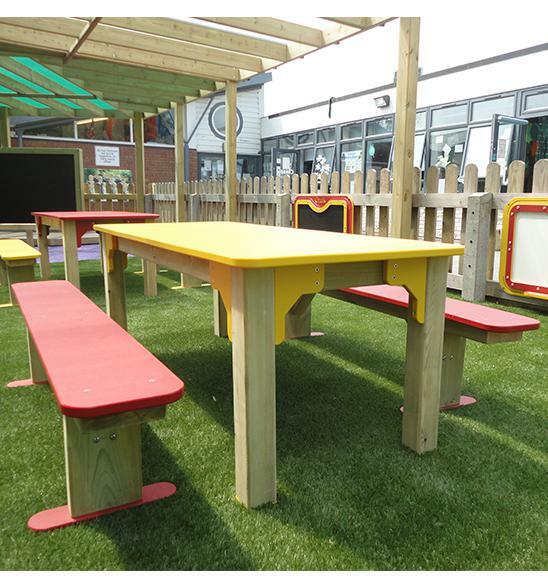 Arts and Crafts Table - Maple Leaf Designs Ltd.
Our Arts & Crafts Table is ideal for taking art lessons into the outdoors, with communal benches for unrestricted seating, and smooth, sturdy, highly durable plastic tops. And once the children are finished gluing, painting and scribbling, simply wipe the tables clean, ready for the next lesson. The benches and table can be made to various heights to suit your needs, and we will provide you with a choice of colours. Wipe-clean surface for messy activities. Various heights and colours available.